An overview of how the Assembly came together. 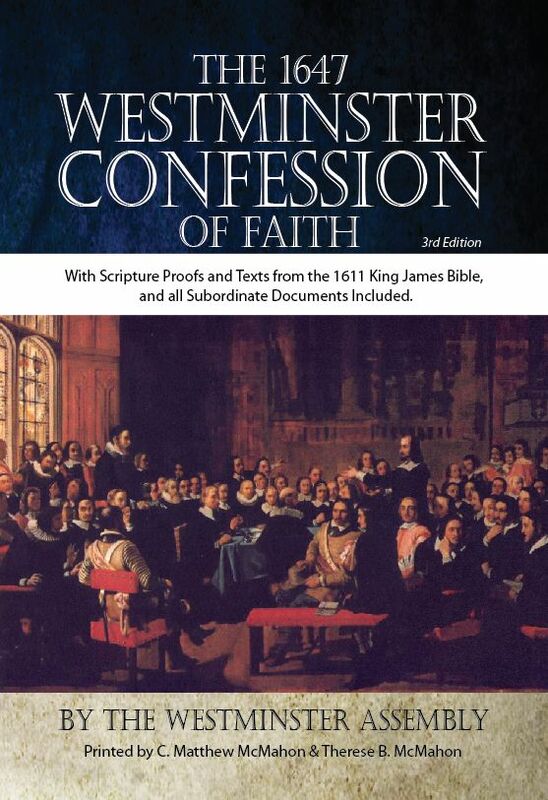 It should be conceded, without fear of intelligent contradiction, that the Westminster Confession of Faith, Larger and Shorter Catechisms are the finest creedal formulations of the Christian Faith that the church of Christ has yet produced. This is not to deny that in certain particulars some other creeds may surpass these Westminster standards, nor does it mean that these standards have attained such a degree of perfection that they could not possibly be improved. But it does mean that they are the most perfect creedal exhibitions that we possess of the truth revealed in Holy Scripture. Many people are familiar with the Confession and Catechisms and yet know very little regarding the history of the Assembly that produced these documents. One of the most important Parliaments that ever existed in England was what is known as the Long Parliament. It continued from November 1640, until it was dissolved by Oliver Cromwell in April 1653. It was this Parliament that was responsible for the calling of the Westminster Assembly of Divines. In 1642 a declaration of the Parliament of England was sent to the General Assembly of the Church of Scotland. This declaration contained a plea for the prevention of civil war. The answer of the General Assembly of the Church of Scotland deplored the tardiness with which the reformation of religion progressed, and contended that religion is not only the means of the service of God and the saving of souls but also “the base and foundation of kingdomes and estates”. It also reiterated the plea “that in all his Majestie’s dominions there might be one Confession of Faith, one Directory of Worship, one publick Catechisme, and one form of Kirk Government”. On April 19, 1642, the House of Commons ordered that the names of divines fit to be consulted with be presented to the House. In less than a week this list was completed. It consisted of two divines from each county in England, two from each university, two from the Channel Islands, one from each county in Wales, and four from the city of London. Chapter XXIII of the Westminster Confession of Faith deals with “the Civil Magistrate”. Section III of this chapter reads as follows: “The civil magistrate may not assume to himself the administration of the Word and sacraments, or the power of the keys of the kingdom of heaven: yet he hath authority, and it is his duty, to take order, that unity and peace be preserved in the Church, that the truth of God be kept pure and entire; that all blasphemies and heresies be suppressed; all corruptions and abuses in worship and discipline prevented or reformed; and all the ordinances of God duly settled, administered, and observed. For the better effecting whereof, he hath power to call synods, to be present at them, and to provide that whatsoever is transacted in them be according to the mind of God.” The last sentence of this section is the defense, on the part of the Westminster Assembly, of that Ordinance of the English Parliament of 1643 in accordance with which the Assembly convened on July 1st of that year. The Westminster Assembly was the creature of the Long Parliament. The Westminster divines did not, of course, regard the authority of Parliament or of any civil magistrate as essential to the calling of an assembly such as the Westminster Assembly was. In Chapter XXXI, which deals with “Synods and Councils”, the divines also said: “As magistrates may lawfully call a synod of ministers, and other fit persons, to consult and advise with, about matters of religion; so, if magistrates be open enemies to the Church, the ministers of Christ of themselves, by virtue of their office, or they, with other fit persons, upon delegation from their Churches, may meet together in such assemblies” (Section II). Nevertheless the Westminster Assembly was actually convened by Ordinance of Parliament. The Assembly consisted of some one hundred and fifty members. Thirty were members of Parliament, the remainder divines, representing the chief parties of English Protestants except that of Archbishop Laud. The Assembly was called to meet on July 1, 1643. Two days before the meeting a royal proclamation was issued prohibiting the meeting. Notwithstanding this royal interdict, sixty-nine of those appointed met. They convened in Westminster Abbey for divine service, and both Houses of Parliament adjourned for the purpose of attending the service of worship. Dr. Twisse, the prolocutor of the Assembly, preached. After divine service the members of the Assembly met in the Chapel of Henry VII. The Assembly adjourned until July 6th. (1) That two Assessors be joined to the Prolocutor, to supply his place in case of absence or infirmity. (2) That Scribes be appointed, to set down all proceedings, and those to be Divines, who are not of the Assembly, viz. Mr. Henry Robens and Mr. Adoniram Byfield. (3) Every member, at his first entry into the Assembly, shall make serious and solemn protestation, not to maintain any thing but what he believes to be truth in sincerity, when discovered unto him. (4) No resolution to be given upon any question the same day, wherein it is first propounded. (5) What any man undertakes to prove as necessary, he shall make good out of Scripture. (6) No man to proceed in any dispute, after the Prolocutor has enjoined him silence, unless the Assembly desire he may go on. (7) No man to be denied to enter his dissent from the Assembly, and his reasons for it, in any point, after it hath been first debated in the Assembly, and thence (if the dissenting party desire it) to be sent to the Houses of Parliament by the Assembly, not by any particular man or men, in a private way, when either House shall require. (8) All things agreed on and prepared for the Parliament, to be openly read and allowed in the Assembly, and then offered as the judgment of the Assembly, if the major part assent. Provided that the opinion of any persons dissenting, and the reasons urged for it, be annexed thereunto, if the dissenters require it, together with the solutions, if any were given to the Assembly, to these reasons. When the Assembly met on July 8th, the following protestation was taken by every member, Lords and Commons, as well as divines: “I, A.B. do seriously and solemnly protest, in the presence of Almighty God, that in this Assembly, whereof I am a member, I will not maintain any thing in matters of doctrine, but what I think in my conscience to be truth; or in point of discipline, but what I shall conceive to conduce most to the glory of God, and the good and peace of his church.” This protestation, it should be noted, is of the nature of a solemn oath. It would be well for all to be animated by the spirit that evoked its composition and by the determination that the taking of it expresses. In accordance with the provisions of the Ordinance quoted above, the Assembly was largely occupied for the first three months with the revision of the Thirty-Nine Articles of the Church of England.